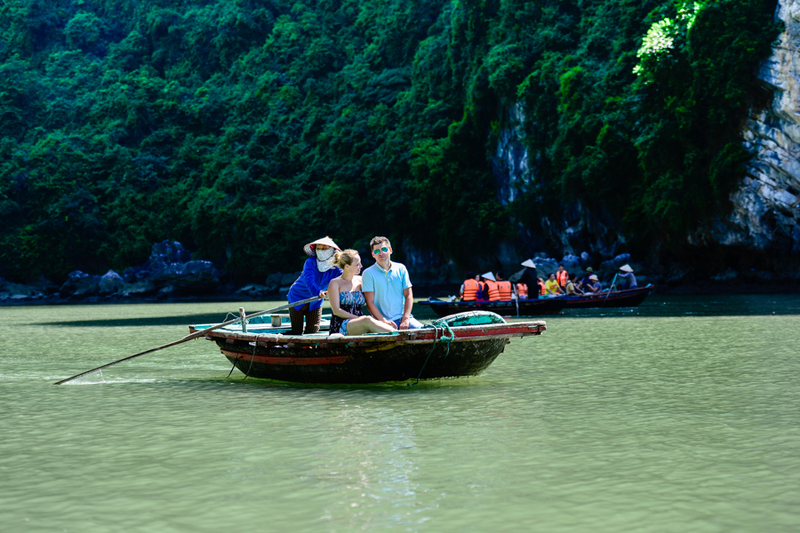 Hoa Cuong fishing village is encompassed by the majestic limestone hills as rising from the sea, making an impressive painting of the World Natural Heritage of Halong Bay. Far from Bai Chay tourist cruise dock about 4km. About 30 minutes by tourist boat. How Hoa Cuong fishing village is unique? The village has a population of 750 people living on 200 floating house. The main income of the people here by fishing and fish faming from long time ago. The village located in a corner of the limestone islands and islets. Looking around the village you will see the islands like a huge wall to protect village to avoid the storm. The simple thing you will see in-font of every house is bamboo boat. This is the main transportation for villager. All The children in the village they will have to know how to swim before can walk. Nowadays. There are thousands of tourist visit this village in a single day. So it can help improve living condition for the people here. You will be have chance to know more detailed about daily life of fisherman. They will let you know how about hunting fishes, squish... If you like they can teach you how to make fishing net. It's only best tours of Halong bay if your travel route can visit this beautiful village. Even though everyday life in fishing village takes place on the sea, but not monotonous. Their calling in a space and rowing live up the atmosphere of the silent bay. Especially if there are wedding or festival you will hear their traditional folk song. Hoa Cuong fishing village also boasts a training institution for their children, that are the very first floating classrooms in Halong Bay. And the Hoa Cuong Floating Cultural Center belongs to the Halong bay Bay, where displays the documents and images of traditional fishing community in Halong Bay. How to get to Hoa Cuong Village? 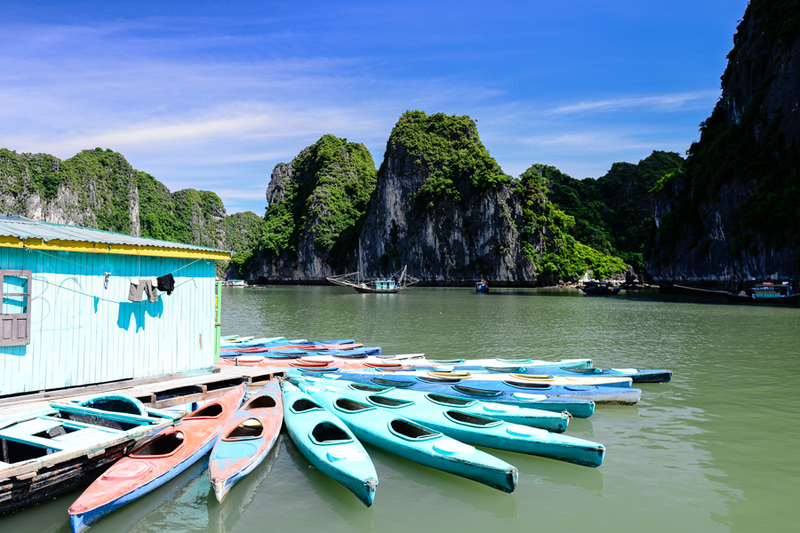 What are the amazing places to go in Ha Long Bay?